In this tutorial we will poll a Gmail account, then once an email comes in to the inbox we’ll add some text with BPEL and then send it through a different Gmail account with the UMS adapter provided by Oracle SOA Suite. 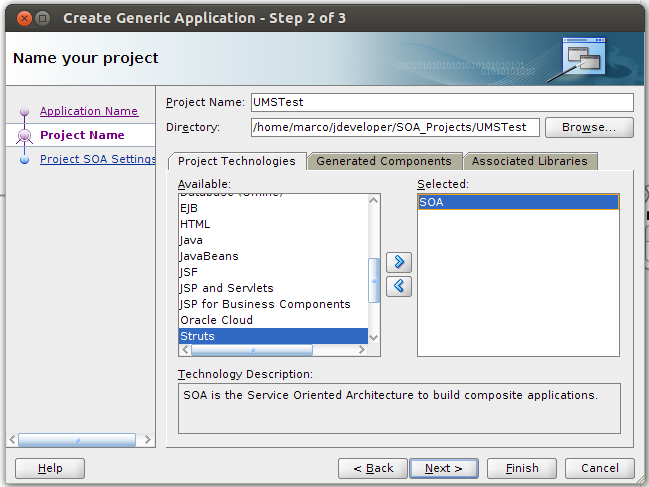 Before we can start first you have to configure the UMS to work with Gmail in the SOA Infra, follow the instructions here. These are the steps that we will follow to process an email through the UMS Adapter. Create a new Project in JDeveloper. Configure the UMS to Send an Email. 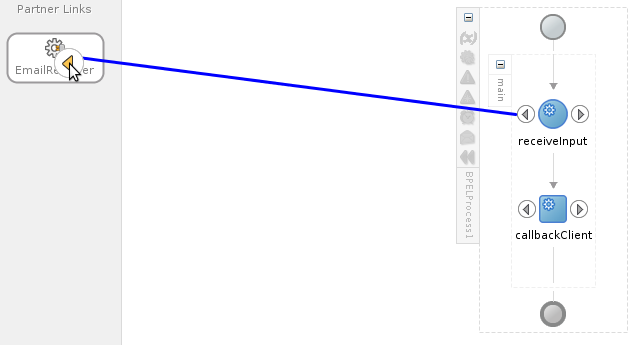 Add text to the message in BPEL. 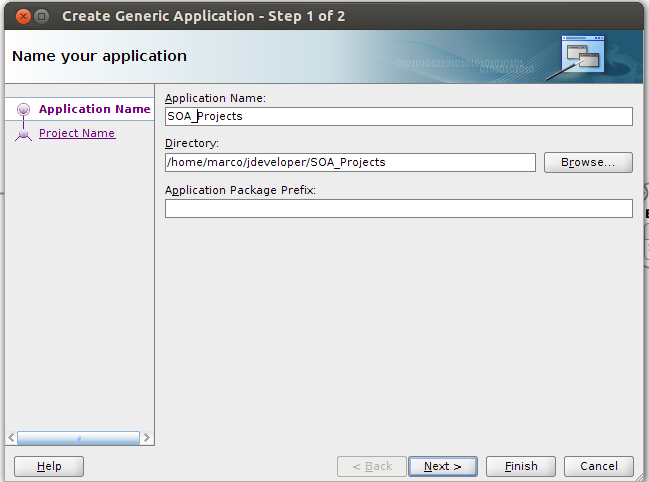 1.- Create a new Project in JDeveloper. At the end select an Empty Composite and you’re done. 2.- Configure the UMS to Send an Email. 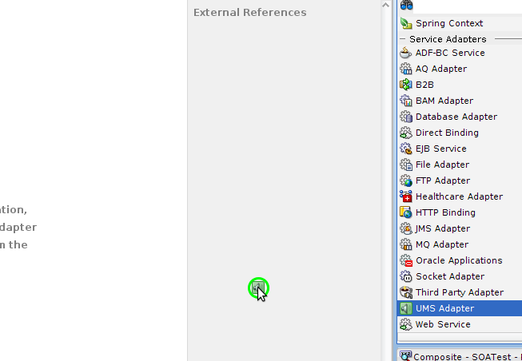 Drag and drop an UMS Adapter to the External References section. 3.- Poll a Gmail Account. 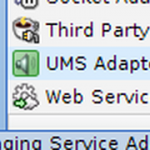 Drag and drop an UMS Adapter to the Exposed Services section. 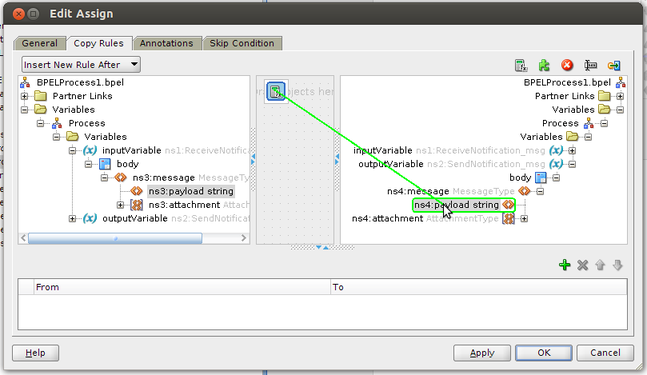 4.- Add text to the message in BPEL. 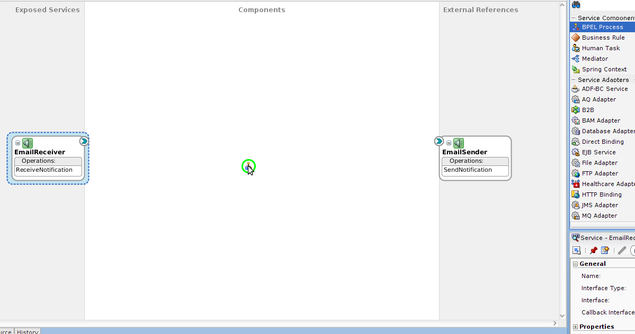 Drag and drop a BPEL Process Component to the Components section. Fill in the popup with the default Name and Namespace, select Asynchronous BPEL Process and uncheck Expose as a SOAP service, leave the Input and Output with the default variables. Connect the EmailReceiver Reference to BPELProcess1 Service in a different Service than the default. then connect BPELProcess1 Reference to EmailSender Service. 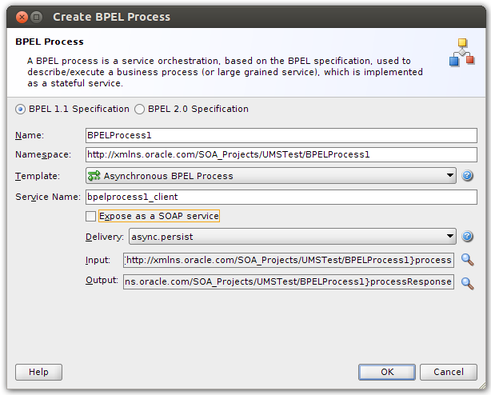 Open BPELProcess1 and delete the Request and the Response Partner Links Connections. 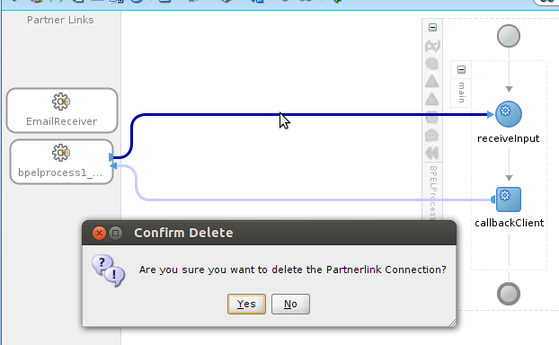 Then delete the BPELProcess1 Partner Link. 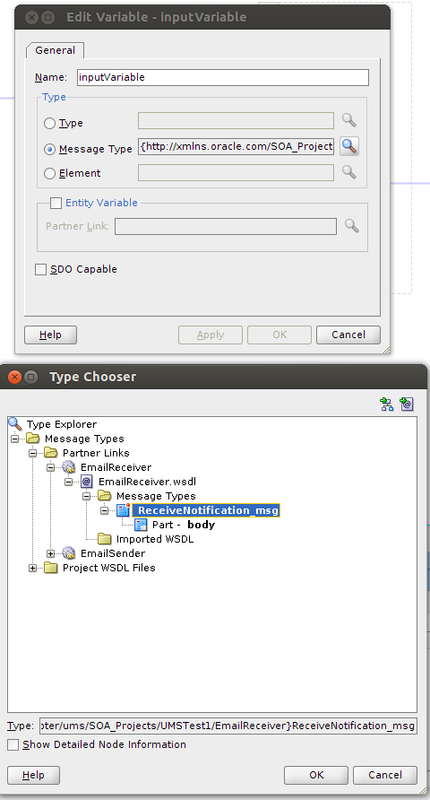 Connect the receiveInput Activity to EmailReceiver Partner Link and when the Edit Receive Popup appears leave the default values. Connect the callbackClient Activity to EmailSender and leave the default values in the Edit Invoke Popup. Edit inputVariable and click in the magnifying glass of the Message Type, select Message Types > Partner Links > EmailReceiver > EmailReceiver.wsdl > Message Types > ReceiveNotification_msg in the Type Chooser Popup. 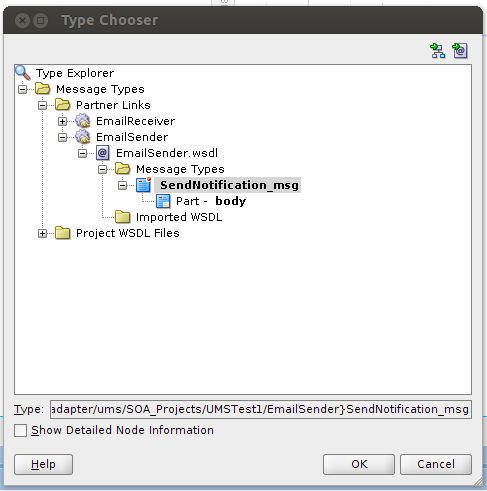 And now edit outputVariable and click in the magnifying glass of the Message Type, select Message Types > Partner Links > EmailSender > EmailSender.wsdl > Message Types > SendNotification_msg in the Type Chooser Popup. Then drag and drop an Assign Activity and call it payloadAssign. 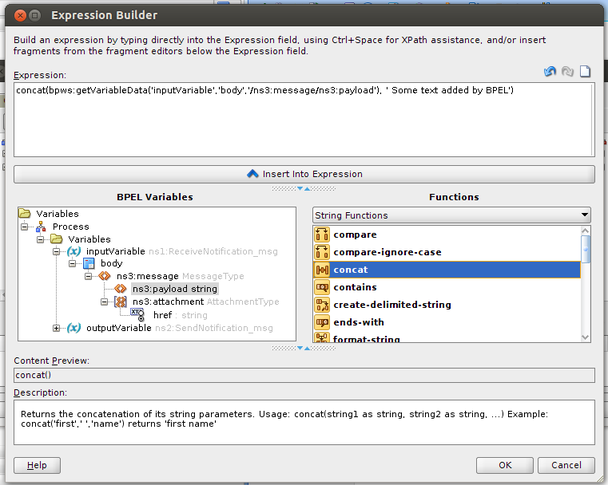 In the Assign Activity Popup right click in the Drag objects here section in the center and select Expression. 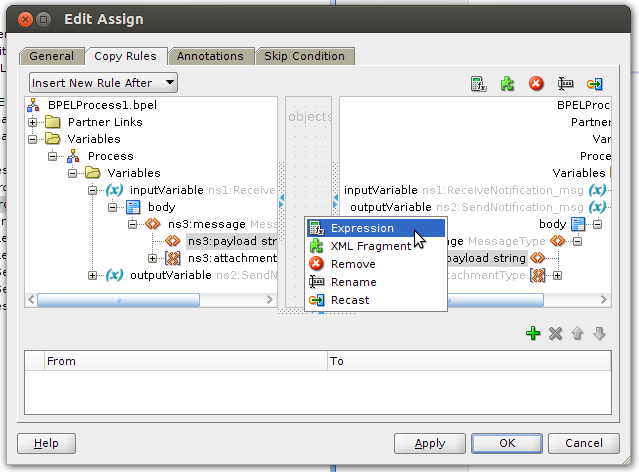 Drag a line from the expression to Variables/Process/Variables/outputVariable/body/ns4:message/ns4:payload, with this you are assigning the Email’s body from the original email and the added text to the new email that the UMS Adapter is going to send. Click OK and you are ready to deploy. Deploy your application and send an email to your incoming email account, you will receive the same email in the outgoing account with the added text. If you found this useful please drop me a comment. The message you sent appears to be un-solicited. If you are responding to a notification, use the response link that was included with your notification. The NID string in response message appears to be corrupted/missing. Ensure that the NID string not modified and contains both beginning and ending ‘NID’. This message was automatically generated by Human Workflow Mailer. Do not reply to this mail. i need to know how can resolve this error . I am getting the same issue “The NID string in response message appears to be corrupted/missing. Ensure that the NID string not modified and contains both beginning and ending ‘NID’”. How do you let the umsAdapter know that this is not an email that needs to be processed as return mail from a notification. The message you sent did not appear to be in response to a notification. If you are responding to a notification, use the response link that was included with your notification. Any one knows why i am getting this mail from SOA ???? ?